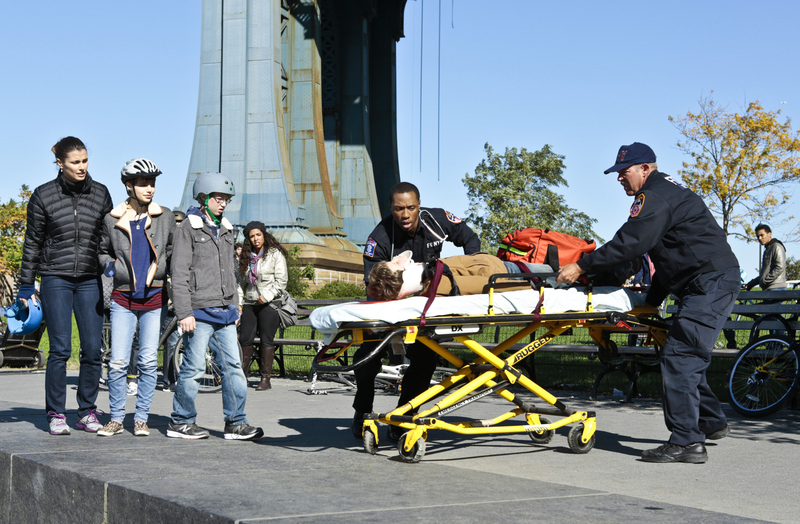 Erin (Bridget Moynahan), Nicky (Sami Gayle) and Jack (Tony Terraciano) watch as Sean (Andrew Terraciano) is taken to the hospital after a bad bicycle accident. Photo Credit: Giovanni Rufino/CBS © 2012 CBS. All Rights Reserved.